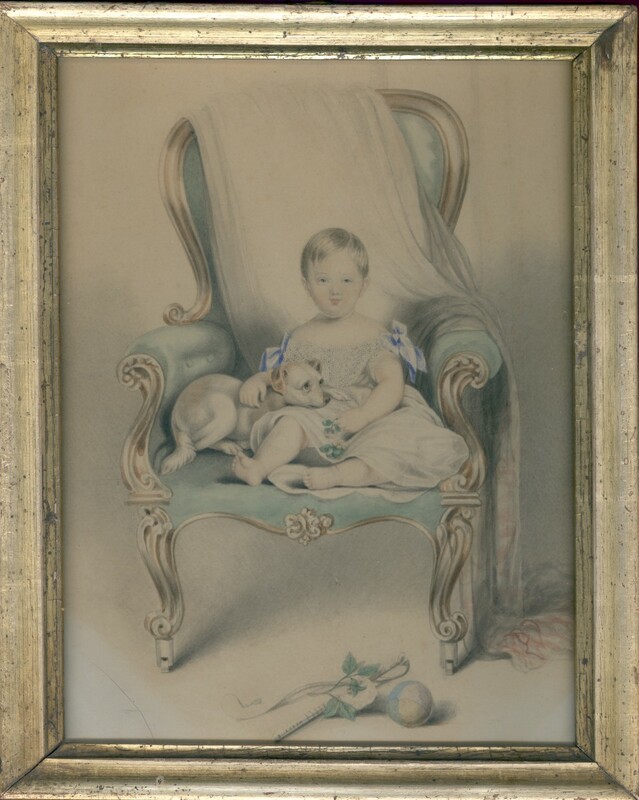 A charming watercolour depicting a very young child seated in a large Louis XV style armchair and holding a rosebud. 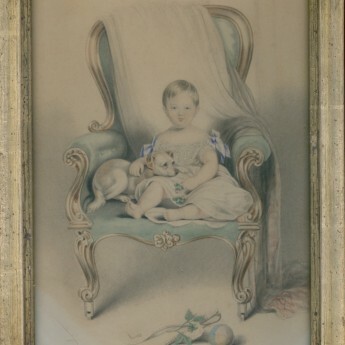 Despite the fact that the child is wearing a dress with a pretty lace bodice and blue bows on the sleeves, the presence of a toy whip in the foreground along with a ball suggests that this is actually a little boy. 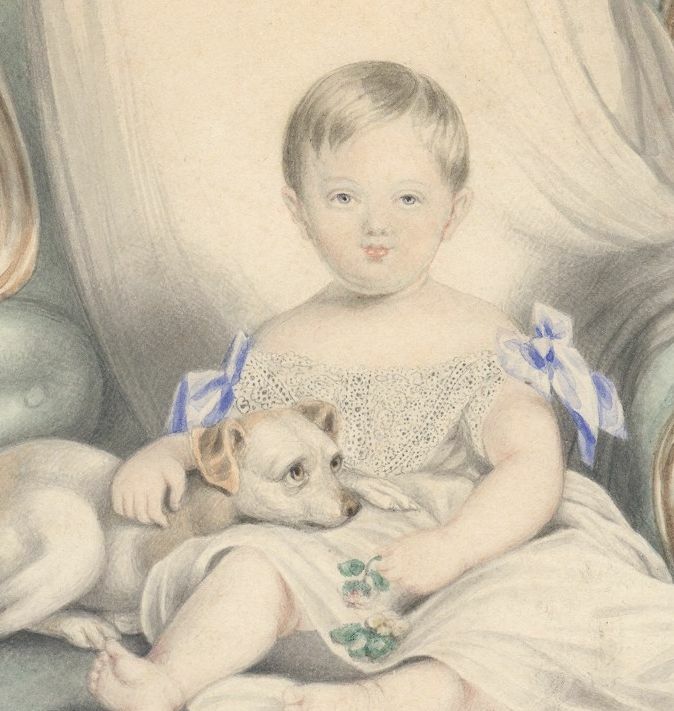 Curled up beside the child and with his head on his lap, is his devoted little dog with silky ears and soulful eyes. The watercolour is unsigned and is presented in a period lemon gilt frame.